Deborah Milano Extra Lipstick is a ground breaking Limited Edition lipstick that recreates the latest ultra-cool trend in just a few simple steps: 3D lips with an ombre' effect. 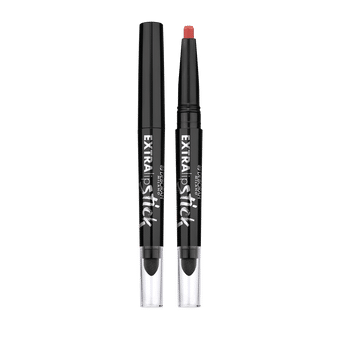 With its special sponge-tip applicator and highly pigmented texture, this lipstick produces a three-dimensional look featuring the most intriguing mat finishes. Enriched with minerals and plant-based waxes, the advanced formula glides on easily and precisely, and will take you through the whole day. Silica microspheres add a velvety soft appearance. Alternatively, you can also find many more products from the Deborah Milano Extra Lipstick range.